...but it's Alonso who is smiling. After bad luck in Belgium and more bad luck in qualifying Saturday, Fernando will be more than happy with a third. Helps Vettel had yet another alternator failure and scored no points, dropping him to fourth in the championship behind Raikkonen, now a single point behind Lewis, one ahead of Seb. A 37 point lead might seem like a lot but , with seven races remaining and a maximum 175 points still in play, Alonso has a long road ahead of him, it's by no means over. Some observations on the race. "After Bahrein, when Nico Rosberg forced Hamilton to complete a pass beyond the circuit boundaries and later Alonso to have to lift to avoid going off track, the FIA issued very clear guidelines"
"The leading driver can choose his line up until the driver behind brings any part of his car beside the leading car's rear wheels: at that moment the driver ahead is obliged to leave one car width of space. 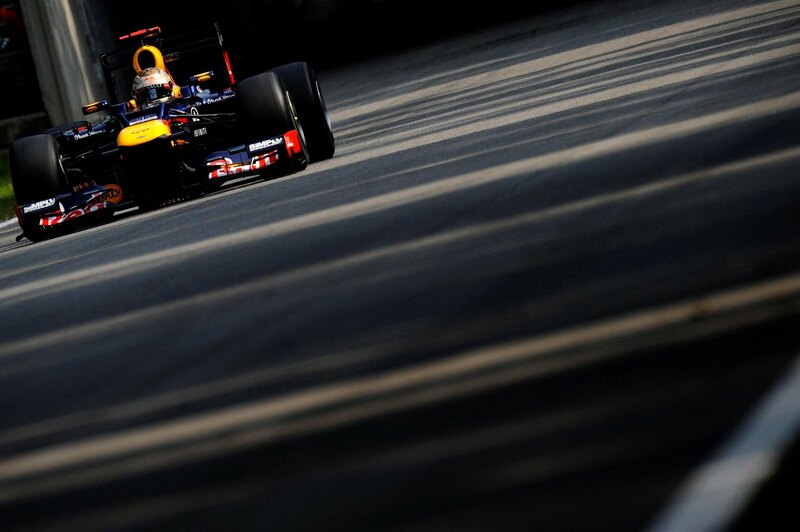 Vettel's penalty was correct as Alonso front wing was well beyond the Red Bull's rear tires." "There is no doubt, Connelly and I had prepared a powerpoint presentation after Bahrain that showed drivers all possible scenarios and consequences. Drivers know how they should behave." "There was no double standard, TV pictures showed how Senna was already on the grass when he started the overtaking maneuver. As the Brazilian was beyond the white line it was he who was taking the extra risk and Di Resta was under no obligation to leave him room as he had the right to his line into the corner." Very happy for them after the disaster at Spa, Checo Perez from 12th to 2nd is certainly showing "experience" but was I the only one noticing a very distinct lack of..."feeling" in the body language between him and Alonso after the race? Speaking of body language, what is going on with Hamilton? Something's going on there, the guy is not a happy camper. Finally, this this race seal the deal for a one year renewal for Massa? I say maybe, he needs to continue to remember what it feels like not to be a midpack runner for the rest of the season and take precious points away from Alonso's rivals, Can Felipe do it? 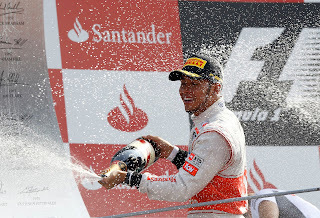 I've never seen a driver so uninterested to get pole and eventually win at Monza. Something fishy is going on with Hamilton (again). You'd expect the guy to be in high spirits after a good race weekend, not to mention having 2 teams vying for his contract next year. 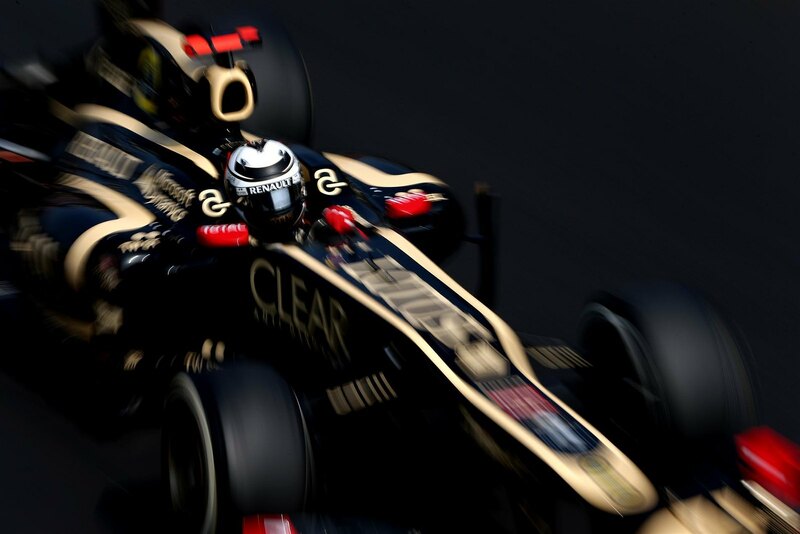 Great drive for Perez today! I loved seeing him pass Alonzo for 2nd. Sauber deserves it after such bad luck at Spa. I'm wondering if Ham just feels dissed by Mclaren since they are willing to give him nowhere near the contract he had before. That could very well be the case. I think the team, especially Dennis, are just fed up with the XIX/Hollywood charades. I also found it very odd that Hamilton was referring to the team as "they" instead of "we" during interviews after Monza. Maybe it's already a done deal. I think we're gonna find out before Singapore. Isn't McClaren losing a bunch of sponsorship in the next season...I am sure that must impact what they can afford to pay. am i the only one to think that even from pole position, Alonso would have finished behind Lewis (and Jenson)? Mclarend were just going round with no hassle, and Hamilton was able to lap 1.28.6 in the last laps in order to keep Perez at a distance while both Fernando and Massa struggled to get under 1.30 while chased by Perez. And in the first stint the performance of both ferraris dropped heavily while the McLaren could keep going for 3/5 laps more with no degradation problem. I think 37 points are nothing considering the performance of mclarens at the moment. From the next race redbulls will be back ahead aswell since it's clear they did not deliver both in Monza and Spa due to gearing issues (i guess they decided at the start of the season to sacrifice a "long" 7 gear to have more gears combinations on the other tracks). 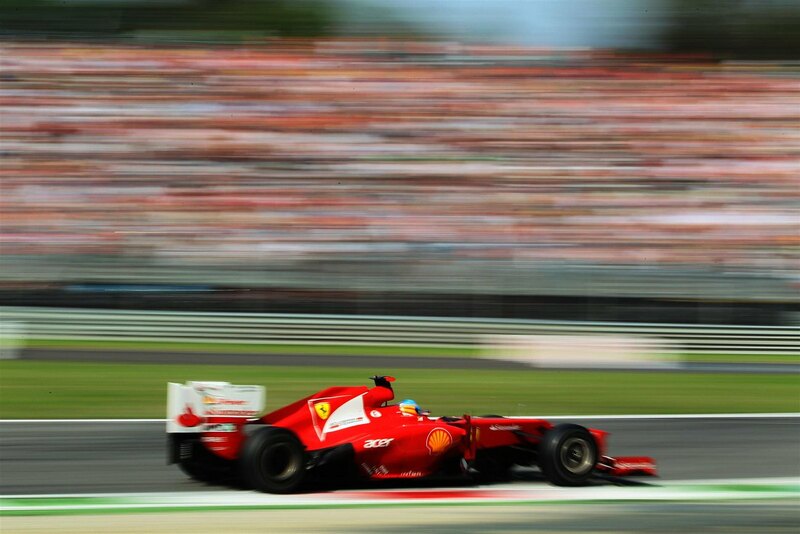 Still think this is Alonso's year nontheless, he's perfect and unbelievably lucky this year! It's always hard to determine the impact of running though the field as opposed to running in the clear. 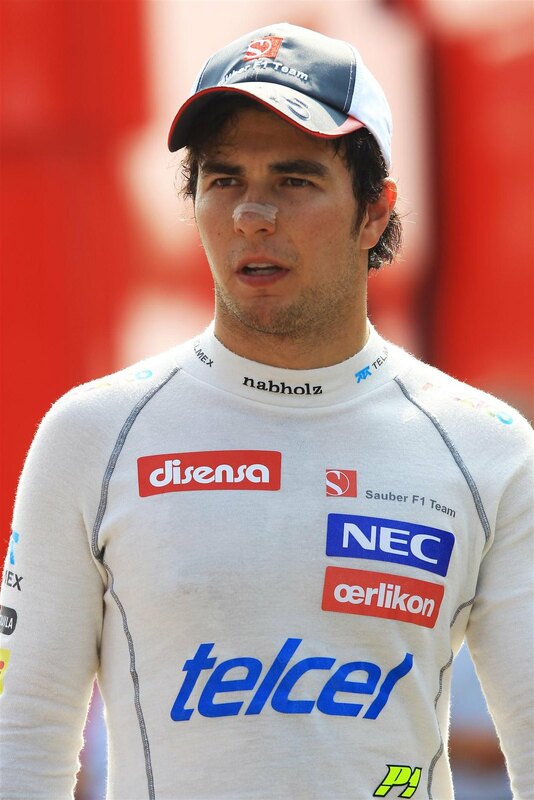 Perez and Sauber as it happens made a revese strategy work, with the help of Button and Vettel dropping out too. 1 out of 3 times i try open axisofoversteer blog my firefox crashes. Not sure if its an isolated issue or there are others who face this issue. And since i have a habit of checking the blog at least 3-4 times a day or more depending on how bored i am or how much free time i get from work its been affecting me a lot. :) Would be great if you could have a look.. Happens only when im at work and here we have firefox v5. At home when i use chrome it works like a charm though. :) Just thought i'd inform. penalties and consistency ... clearly an issue. the car in front of him is breaking this new "made up as they went along"-rule. p.s. : i'd like to see that powerpoint presentation. p.p.s: the senna incident ... not sure what to make of it and Pirros's statement. i'd like to see an onboard of that. @Gabriele - Hamilton running in front in clear air has a much easier time conserving tire wear. The guys behind passing and running behind other cars are putting a heavier load on the tires seeing earlier performance loss. 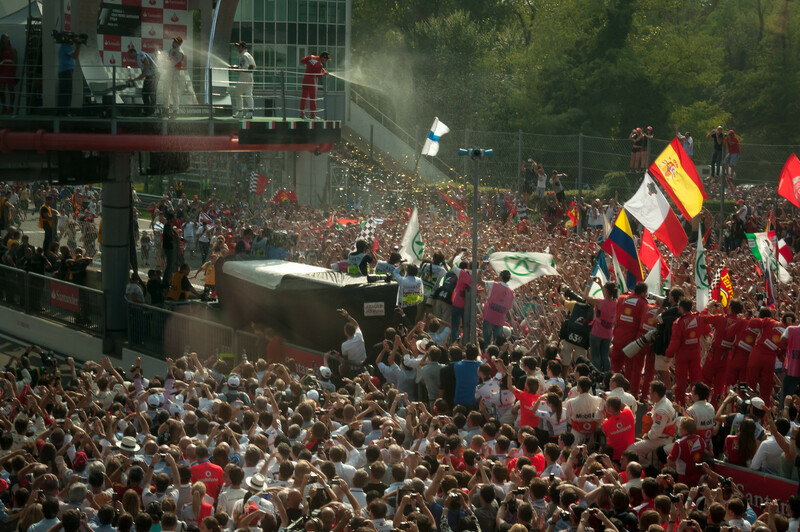 I would have liked to see the race play out with Hamilton, Button, Massa and Alonso on the front 2 rows. Also, Alonso damaged his diffuser during that...agricultural detour. I saw that too...he was lucky getting away with just some diffuser damage. I agree with you, AC, in regards to the body language post race. I never saw Alonso and Perez say a word to each other. They even had a moment or two where they were face to face and seemed to have that "um, excuse me..sorry, excuse me" moment when you just don't know what to say. Hamilton definitely seems to think that he is "on an island" at McLaren. He always seems to think everyone is after him, but it is more evident now. I'm sure its stressful, but he does make some dumb decisions from time to time. Strange body languange between alonso and perez indeed, 1 month ago perez posted a pic on twitter in some nightclub with alonso!